As they have developed, the pontifical dalmatic and tunic are essentially very thin, light vestments of silk that are easily worn the one over the other. One can see from this that our modern sense of the dalmatic being specifically and uniquely "diaconal" is not entirely accurate then. This shifts the question then to the much more basic question of what the symbolism of this additional pontifical vestment is? From the beginning of the third century, this vestment had become the outerwear of the most distinguished people of Rome. We find mention of the dalmatic in the Liber Pontificalis as a distinctive, honorary garment granted to the Roman deacons by Pope Sylvester (A.D. 314-335), “so that deacons would use dalmatics in church” ... to distinguish them among the clergy due to the fact that they had a special relationship with the Pope. 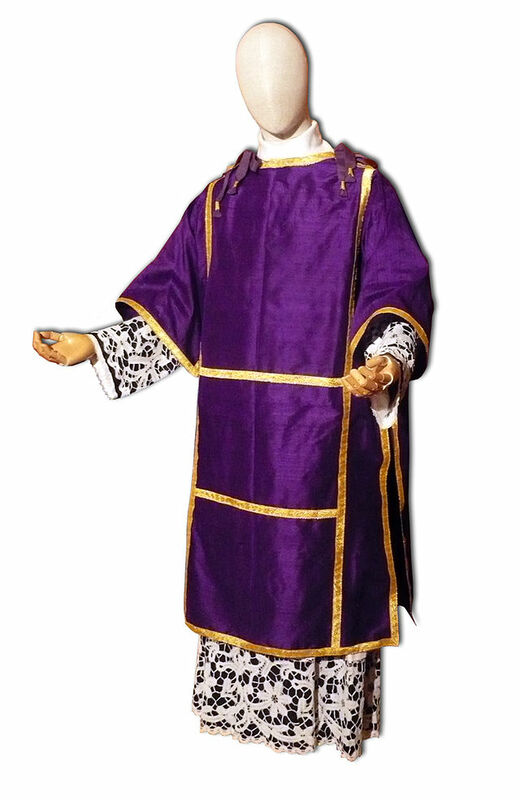 Before that, the dalmatic was part of the papal wardrobe and the proper and distinctive garb of the bishop. Outside Rome, deacons wore a simple white tunic for liturgical services, over which was soon added the orarium or stole. The news of the concession of the dalmatic to the deacons by Pope Sylvester is confirmed by the Roman author of the Quaestionum Veteris et Novi Testamenti (circa A.D. 370), who, not without a touch of irony, writes: “Today the deacons vest like bishops” (n. 46). ... bishops wear the dalmatic on the most solemn occasions, underneath the chasuble, and also as the outer vestment when anointing the altar or during the washing of the feet. In this latter instance, as the Caeremoniale Episcoporum (Ceremonial of Bishops), n. 301, relates, the bishop takes off the mitre and chasuble but not the dalmatic. The dalmatic underscores not so much the fullness of the priesthood but service as a characteristic of episcopal ministry. In the case of cardinal deacons wearing the dalmatic, this goes to underscore their role as servants and also as close collaborators of the Roman Pontiff in the liturgy. The dalmatic is a sign of service, dedication to the Gospel and to others. But also when the bishop uses the dalmatic, he uses it to serve: whether during the washing of the feet, or in the special liturgical service that bishops, who are cardinal deacons, carry out near to the Roman Pontiff. 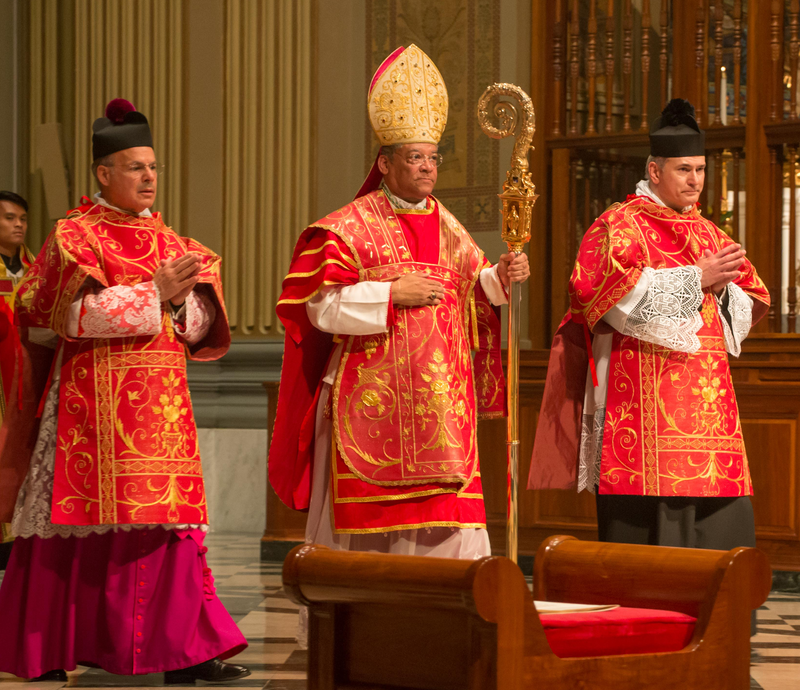 There is a certainly an irony in the fact that many in the episcopate today seem reticent to use the pontifical dalmatic and tunicle, perhaps believing it to be too hierarchical or too much "pomp" when in actuality what they are brushing aside is a vestment that is a symbol of service. Perhaps if more of our bishops were to become aware of this additional symbolism, they might not so readily set these worthy vestments aside.